Experience Life is a complete educational application about the vital role of the relationship of man. 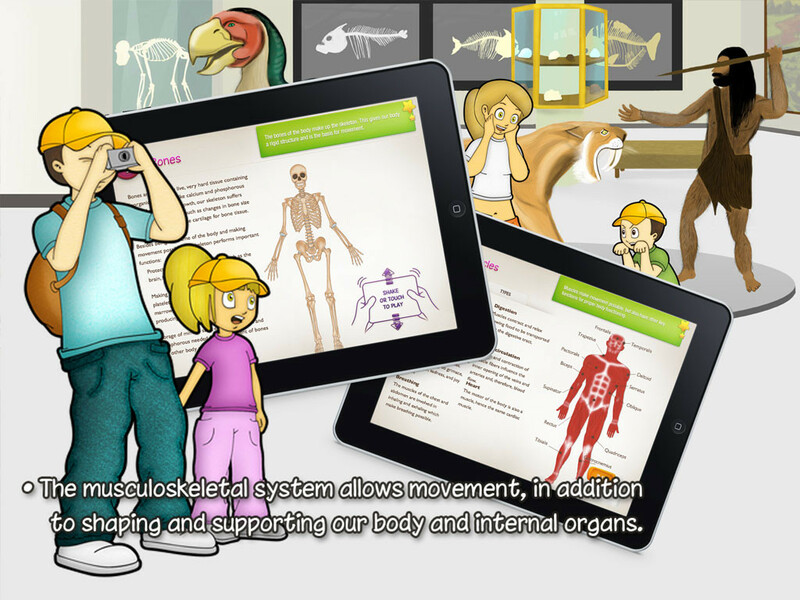 Available in English and in Spanish, the development of this application was supervised by educational and medical professionals to explain the workings of THE SENSES, the NERVOUS SYSTEM, and the MUSCULOSKELETAL SYSTEM in an enjoyable and entertaining way. Taking advantage of iPad functionalities, it has interactive illustrations, games and animations which reveal an entirely new approach to learning. Its innovative navigation moves forward in a natural environment, associating educational content with the capabilities of certain animals. This catches the user’s attention and motivates interaction designed to improve learning. The five senses are explained from an innovative and attractive point of view: We learn the function of vision, how we hear, and which sensors detect a cavity or a pinch on our skin. Also how we perceive smells and how flavors do not depend solely on our tongues. The nervous system directs and coordinates our body, a complex topic explained in a simple way. Discover how information gathered by our senses is transmitted to the central nervous system and how this information is processed. Learn the difference between actions we carry out consciously and those which our bodies carry out automatically. The musculoskeletal system allows movement, in addition to shaping and supporting our body and internal organs. Learn its function and its main parts. 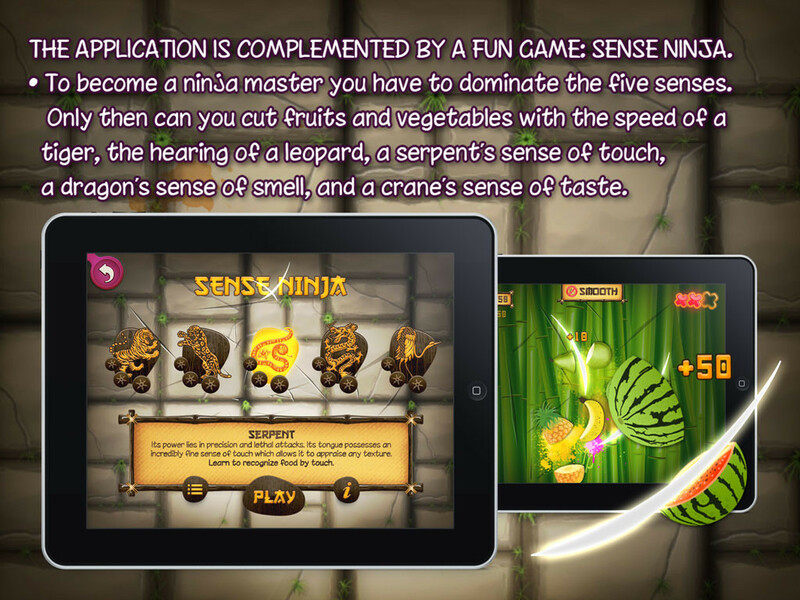 The application is complemented by a fun game: SENSE NINJA. To become a ninja master you have to dominate the five senses. Only then can you cut fruits and vegetables with the speed of a tiger, the hearing of a leopard, a serpent’s sense of touch, a dragon’s sense of smell, and a crane’s sense of taste.